Part 3: Use our executive summary of Singapore’s Top 80 best team bonding activities to help you save time! Seen our Part 2 and can’t wait for Part 3 to be published? Here it is so read on! Does it feel like there are too many fun team building activities in Singapore? Are you tempted to satisfice and randomly pick the first 3 – 5 ideas that capture your attention though they might not be the most suitable solution for your organization? Satisficing is a decision-making approach coined by Nobel Prize winner Herbert Simon, where an option that is good enough is chosen instead of the optimal one. This happens every so often in this information era with an overwhelming number of team building choices within our reach. Alright, let us help you with choosing the optimal option, so you won’t have to satisfice! Presenting the most complete, completely awesome, awesomely long, and thankfully not a too long-winded list of team bonding activities in Singapore! Disclaimer: This article is provided by Village Singapura, a home-grown team building company in Singapore, featuring 1980s old school games, role playing actions and cultural experiences such as learning to differentiate between the various Indian spices in a role-playing session, visiting a Chapteh factory and play a session of this childhood toy, and learning the art of Chinese character paper-cutting. These team bonding activities are best suited for locals, both the young and senior, allowing them reminiscence old childhood times, and for expats to be exposed to the local traditions. Methodology: As mentioned in our earlier Part 1 & Part 2 of the Top 80 Team Bonding Activities in Singapore on online searches, we have searched for “team bonding activities in Singapore” and gathered the results from the top 10 pages from various search engines and ranked the top 80 activities, so here you go with the 41st to 60th events on the top 80 activities in Singapore! Why choose this? 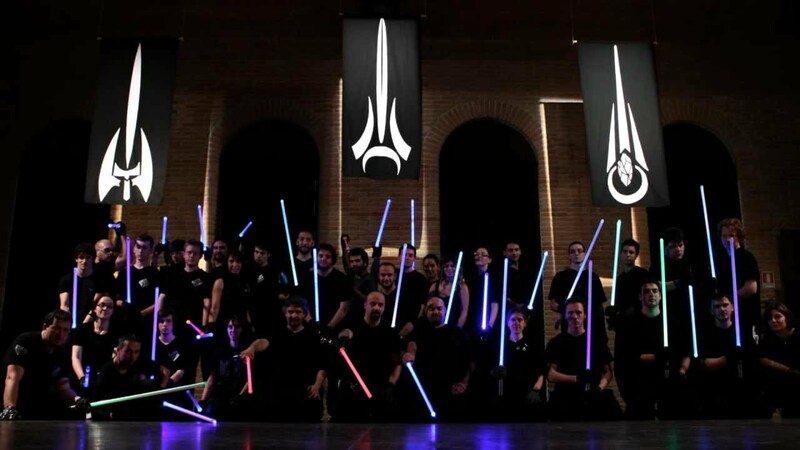 Star Wars fans would be thrilled in a lightsaber combat. Suit up with an impact detector and start the combat. Each hit by your opponent will be detected by the suit, to measure your score! Oh! And it’s safe for children! Why choose this? 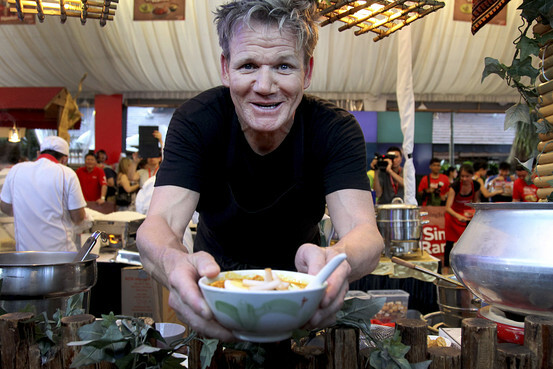 Singapore is famed for Michelin Star grade hawker food. So pamper the taste buds with a local hawker food tasting experience! Top it off with a local guide from Village Singapura! Best for: General public, including handicapped and senior members and especially for the food lovers! Why choose this? Learn how to ferment your own wine using fruits such as cranberries, raspberries, blackberries strawberries, grapes, pineapples, peaches, etc. Drinking fruit wines come with health benefits, e.g. antioxidant effects from cranberries, reduce pain from a sore throat with raspberries and promote blood regulation with blackberries. Best for: General public including handicapped and senior members, but if alcohol doesn’t suit your taste buds, do explore other unique team building activities in Singapore. Why choose this? Get off the beaten track with a walk into the dense Marsiling jungle. 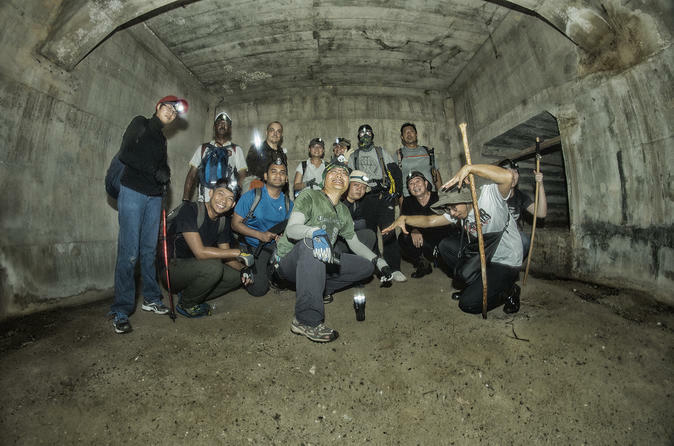 Within the quiet forest lies a series of tunnels that were used by the British Royal Air Force and Japanese during WWII, according to TODAY. Kindly note that this is a guided tour. Why choose this? Does this remind you of the book by Carol Dweck? Mindset: The New Psychology of Success, voted by Bill Gates as one of the best books he had read in 2015. Our mindset could change our life in miraculous ways, it could be a good idea to attend a mindset of excellence programme for a better workplace culture and heightened productivity! Best for: Everyone! Especially those with a desire to improve their lives. Why choose this? Be amazed as participants get to see the state-of-the-art technology behind water processing at the NEWater plant. It comes complete with a guided tour by a water ambassador. Why choose this? The night safari offers rustic candlelit dining experience with fine food and wine under the night sky. Pamper the team with an award-winning Gourmet Safari Express, where dinner is held on a tram running around the lush secondary rainforest. Best for: General public except those who are afraid of the dark. Thankfully, there are other fun alternatives which are held in well-lit, air-conditioned studio, hosted by Village Singapura! Why choose this? 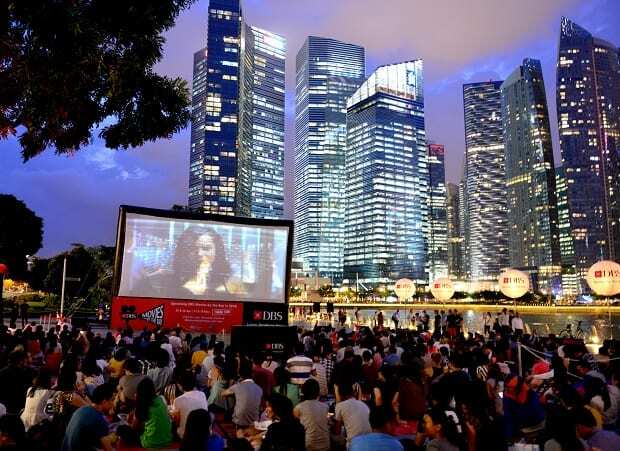 The open-air movie screening is definitely going to be one of the most relaxing and a little bit romantic bonding session. Not sure if romance is what you are looking for here but it’s going to be a pleasant time! Bring your own food and drinks as co-workers enjoy a chill movie night together! Best for: General public including pregnant ladies, handicapped and senior members especially the movie lovers and those who gets lost in the night sky. Why choose this? Get the signboard printed and ready as participants zoom around the island of Singapore on personal transporters creating brand awareness for the organization while having fun! This might help the company save a fair bit of brand awareness marketing expense. After all, the participants are certainly going to capture a lot of attention zooming around the CBD. Why choose this? Experience the adrenaline rush as participants walk through suspended wooden log trails and other challenging obstacles with morale-boosters from co-workers! Best for: Physically fit adults but if your co-workers are afraid of the heights, you can always consider other fun alternatives in Singapore! Why choose this? Participants get to showcase their artistic flair by painting their very own masterpieces, gain inspirations from co-workers’ artwork and enjoy a therapeutic session of being able to express yourself through painting. Moreover, they get bring their art piece home at the end of the day! Why choose this? Bring online shooting game experience offline with laser tag combat. 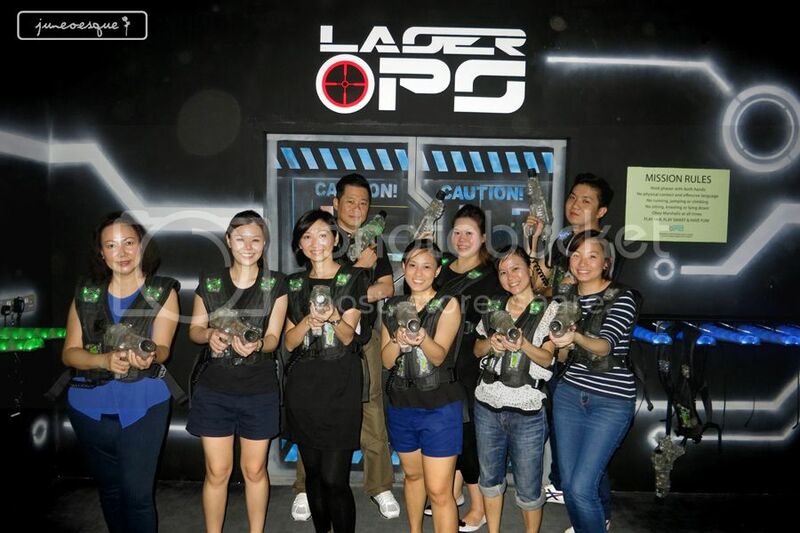 Test your aiming skills in a safe environment while enjoying an awesome bonding together with your colleagues! Why choose this? Personality profiling, such as DISC and MYER BRIGGS, allows participants to get to know themselves better, as well as learn how to communicate more effectively with one another! Why choose this? Save the earth! Cut down on paper usage and plant a tree! 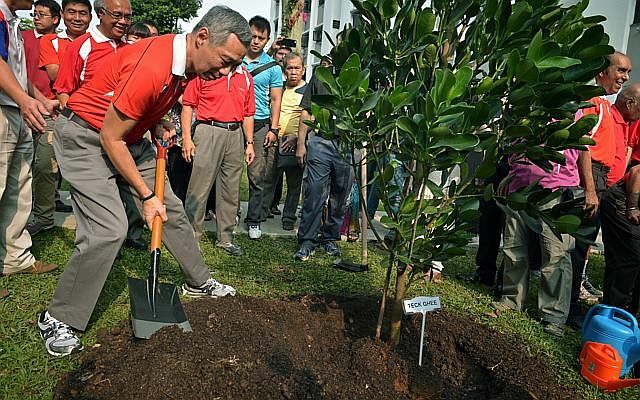 It’ll feel great being close to nature with our hands in the soil and setting the ground for the growth of a new tree. Best for: Organizations promoting Corporate Social Responsibility (CSR) movements, as Strait Times puts it, we need more of them. Why choose this? 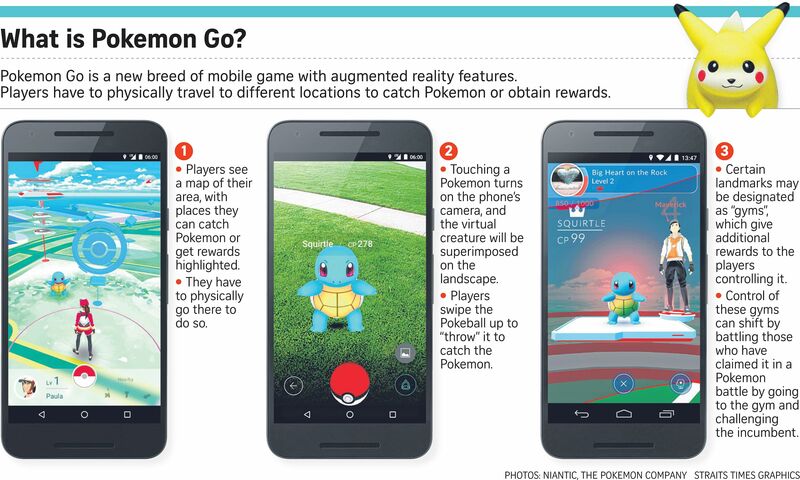 Pokémon Go is taking the island by storm and it has changed the way mobile games are played by incorporating real world checkpoints, also known as Pokéstops to visit! Form a team and take down gyms together! It’s more efficient that way! Why choose this? 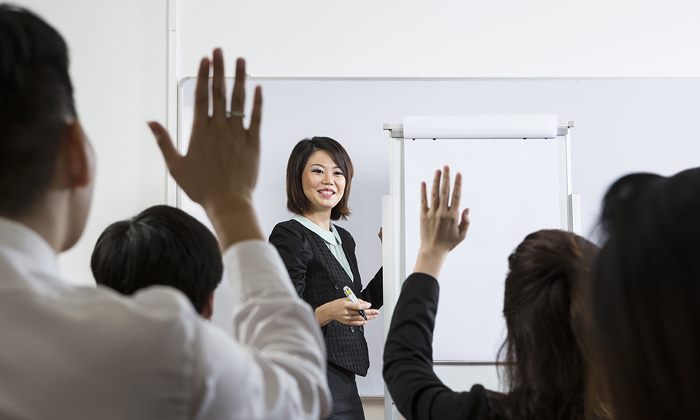 Professional development workshops come in many forms ranging from leadership programmes to soft skill training for better workplace behaviour, enhancement in work efficiency, which could translate into higher company profits and staff bonuses! Why choose this? Unravel your inner fashionista, design and sew your masterpieces as a team. Pick a few models within the team to sashay down the runway and pitch your designs to the judges! Why choose this? 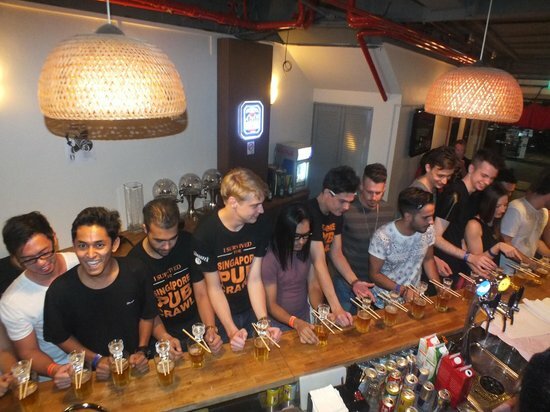 Drink till your hearts’ content at Singapore pub crawl sessions around Clarke Quay, Boat Quay and Club Street. Challenge co-workers to Tequila shots with a lip of salt, a magnificent row of Jägerbombs on the bar counter and not to mention, the glorious flames from Waterfall! But, that’s only if they are comfortable with it. If you’re a bit more adventurous, there’s always absinthe. Why choose this? 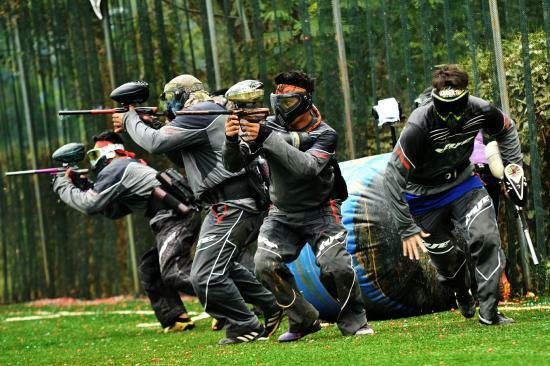 Have a full body workout outdoors at a paintball session while bonding with team members! It’s a great endurance exercise that requires participants to dodge, aim, shoot, and run for their lives! Best for: Physically fit adults. 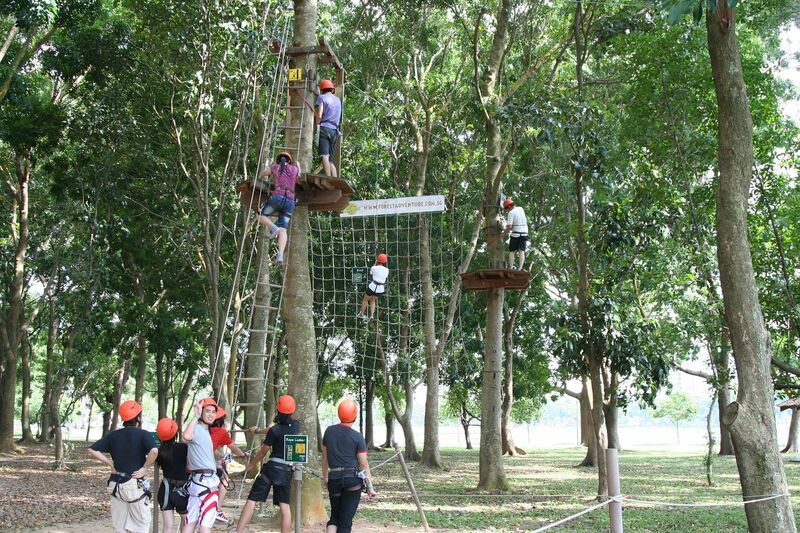 Alternatively, a more relaxing team building session can be arranged by Village Singapura! Why choose this? 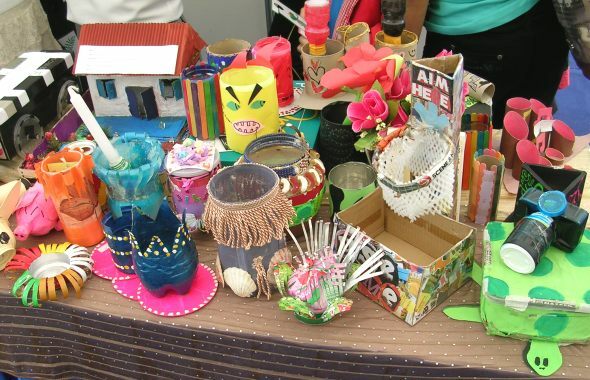 Take part in a recycled art workshop where participants appreciate the beauty of recyclable materials such fabric, paper and plastic in creating their own art piece. Hey! Participants can work together to build a Christmas Tree to be placed in the office! Want to see more? Come on-board our mailing list now! There’s more to come! Join our mailing list and be updated when we reveal the remaining 20 of the top 80 team bonding activities in Singapore, based on online searches! Exclusive deals e.g. promotions, invitations to unique and fun team bonding events etc. Click here to organize your corporate team bonding activities with Village Singapura now! See what else we do at Village Singapura! Learn some useful crafts! Explore Tiong Bahru! Check out what others did with us!